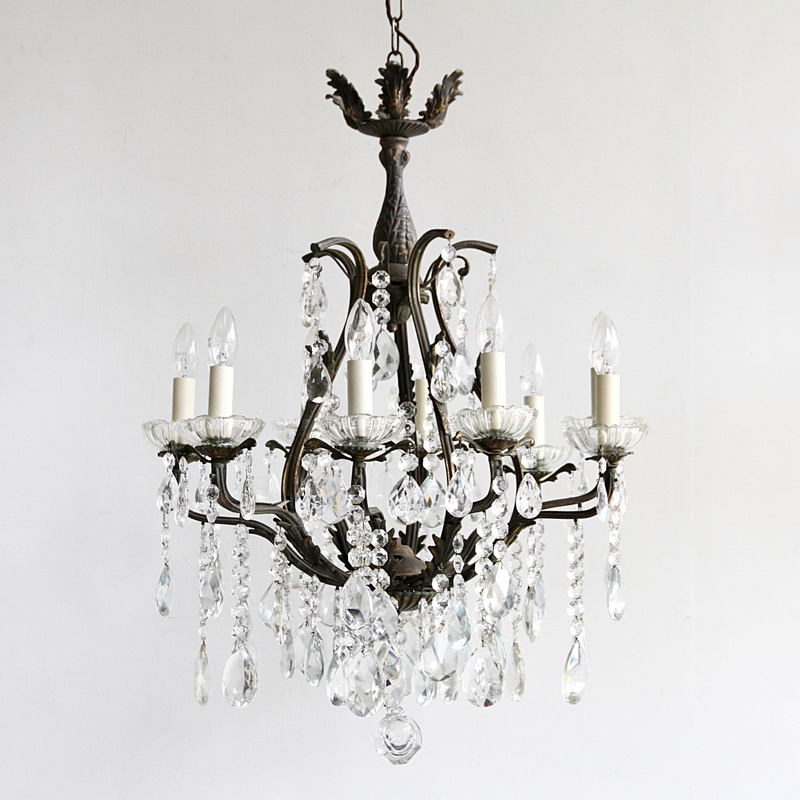 This large birdcage chandelier originates from early 1900s Italy. Dressed in a mix of crystal pears it is a stunning centre piece. The large chandelier frame is heavily oxidised and holds eight lamps in total. The top crowns are brass leaves, the lower holding two glass buttons and crystal pears. There are also added cast brass leaf details on the central cage of which strings of glass buttons and crystal pears are suspended from. The dark oxidised frame has not been polished back to retain its natural aged effect. The chandelier comes supplied with braided flex, chain, a ceiling rose and a chandelier hook plate. Chandelier requires SES lamps, these are not included.